Emery Physical Therapy: IS A KNEE REPLACEMENT YOUR BEST CHOICE? 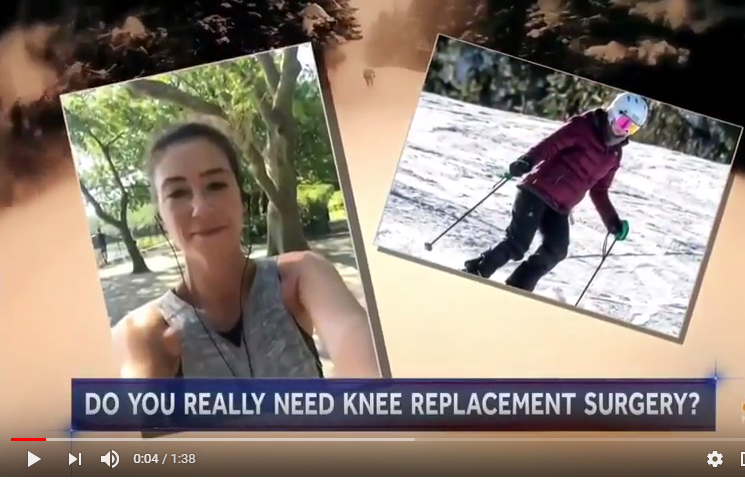 IS A KNEE REPLACEMENT YOUR BEST CHOICE? There is no doubt that knee replacements for the right candidate can be a game changer by decreasing pain and allowing return to activity. However, knee replacement surgery for patients with osteoarthritis, as currently used, provides minimal improvements in quality of life and is economically unattractive, according to a study led by Mount Sinai researchers and published in the BMJ. However, if the procedure was only offered to patients with more severe symptoms, its effectiveness would rise, and its use would become economically more attractive as well, the researchers said. About 12 percent of adults in the United States are affected by osteoarthritis of the knee. The annual rate of total knee replacement has doubled since 2000, mainly due to expanding eligibility to patients with less severe physical symptoms. The number of procedures performed each year now exceeds 640,000 at a total annual cost of about $10.2 billion, yet health benefits are higher in those with more severe symptoms before surgery. A team of researchers from the Icahn School of Medicine at Mount Sinai and Erasmus University Medical Center in Rotterdam, the Netherlands, set out to evaluate the impact of total knee replacement on quality of life in people with knee osteoarthritis. They also wanted to estimate differences in lifetime costs and quality adjusted life years or QALYs (a measure of years lived and health during these years) according to level of symptoms. They found that quality of life outcomes generally improved after knee replacement surgery, although the effect was small. The improvements in quality of life outcomes were found higher when patients with lower physical scores before surgery were operated on. “Our findings show opportunity for optimizing delivery of total knee replacement in a cost-effective way, finding the patients who will benefit the most, delivering the treatment at the correct point in their disease progression, and optimizing the cost so we can deliver the benefit to all who need it,” said Madhu Mazumdar, PhD, Director of the Institute for Healthcare Delivery Science at the Mount Sinai Health System, Professor of Biostatistics, Department of Population Health Science and Policy at the Icahn School of Medicine at Mount Sinai, and co-author of the study. The take home message is to make sure the patient is the right candidate for this kind of procedure. Many times if the symptoms are mild, a short course of physical therapy, home exercises, and lifestyle modifications may be more appropriate. If at a later date the replacement becomes warranted then the patient will be more prepared and have an easier recovery from having tried conservative care first. To find out if you may benefit from physical therapy, call our office at 847-786-2014 today for a consult.